Brilliantly done. 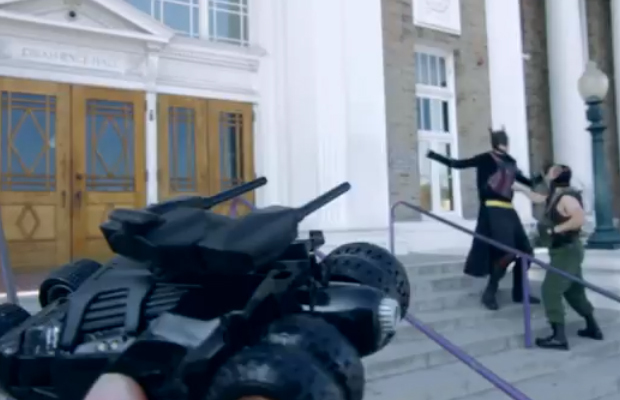 Amateur filmmaker Brendan Fantz took his shot at recreating the epic Dark Knight Rises trailer, a parody that is. He’s also created a sweeded version of The Avengers trailer, which you can watch here. But take our word when we say the Batman spoof is pretty hilarious. View it below. PASA, PASA, QUE QUE, PASA PASA! Is Joseph Gordon-Levitt in Discussions to Star in ‘Ant-Man’ Movie?